The woman is named Emily Letts. The video of the surgical procedure went viral after it had won a “Stigma Busting” competition sponsored by the Abortion Care Network. Here’s one thing I’d known about her already: she is not a criminal. Abortion is legal and condoned by medical authorities in the locale where her procedure took place. 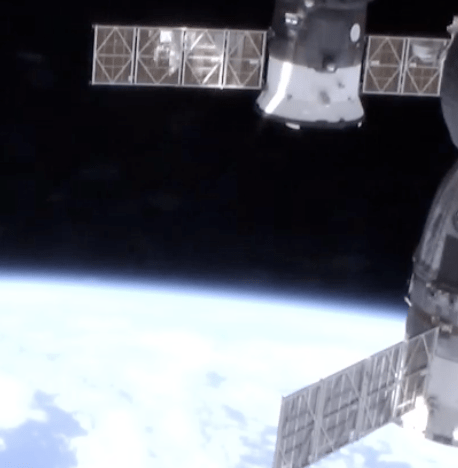 Make sure to check out that live video stream from cameras mounted outside the International Space Station. You’ll see how we humans are next to nothing in relation to this planet. One troubling thing: The streaming site has a social sidebar for viewers to chat with each other. People from all over the globe are oohing and aahing over the moving image. And you may read the term moving on several levels. It seems, based on my unscientific, casual observation, that one of the least represented countries is this holy land. Imagine that. We Americans have paid good cash — that otherwise could have gone toward erecting a sky-high statue of Miley Cyrus — for the ISS and now it’s showing us pix our spinning home in all its jaw-dropping glory. You’d think we’d be glued to our LCDs watching this world slowly pass beneath the live cams. But no. We’ll leave that to the saps from Brazil, who seem to be giddy over the whole thing. Ah, it’s understandable: We Americans are too busy ignoring that mass kidnapping story out of Nigeria. Friends and loyal Pencillistas, if I were to select one single image to show the first visitors to Earth from another planet that would convey to them he true meaning of the United States of America, it would be this one.